Financially secure families strengthen neighborhoods and the City. That’s our vision. Helping individuals that don’t have a checking or savings account, or that do have an account but use high cost financial products and services, enter the financial mainstream and begin building assets is our mission. Visit the product locator and see if there’s a financial product that works best for you. Need support and someone to count on when working on your goals? Locate a financial coach while using the financial product of your choice. 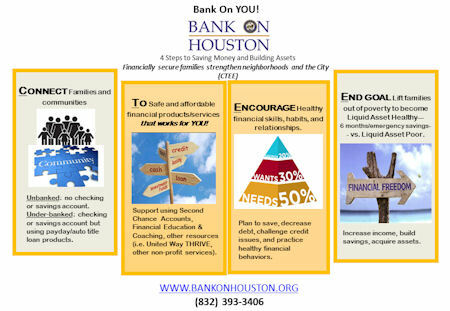 (Call Bank On Houston or United Way 211 and ask about financial coaching at no cost to you). Access financial education and resources to build your assets. 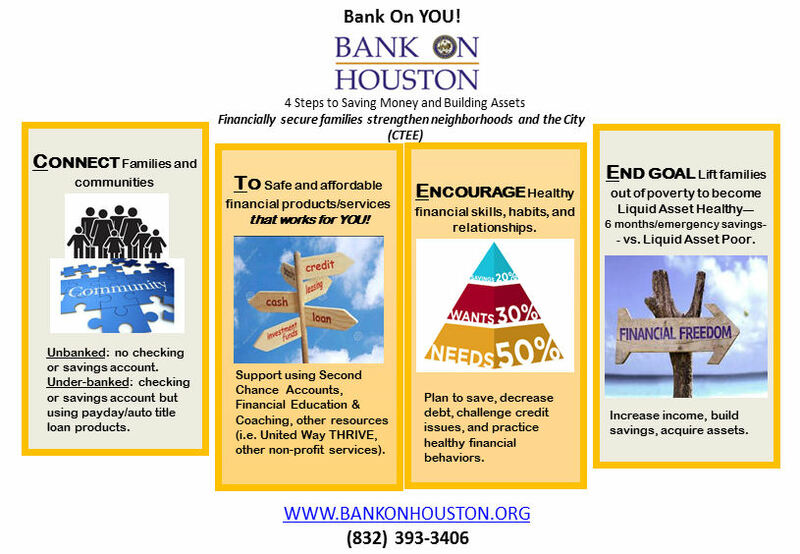 For more information, contact Bank On Houston at 832.393.3406.